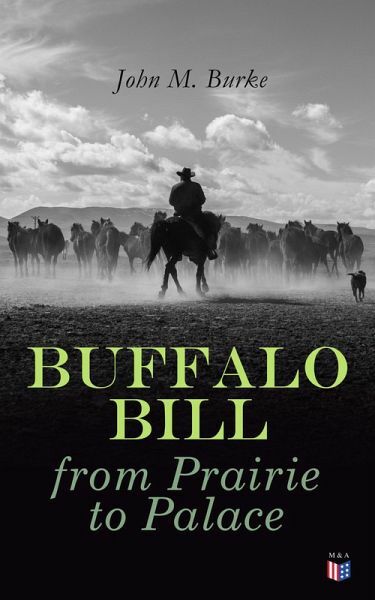 The author of this book has attempted to present to the reader the story and triumphs of the frontier lad of nine years, from the wild Western scenes of Kansas and Nebraska, from the prairies of the Platte to the parlors of the East and the palaces of Europe. William Frederick "Buffalo Bill" Cody (1846-1917) was an American scout, bison hunter, and showman. He was born in Le Claire, Iowa Territory but he lived for several years in his father's hometown in Toronto Township, Ontario, Canada, before the family returned to the Midwest and settled in the Kansas Territory. One of the most colorful figures of the American Old West, Buffalo Bill's legend began to spread when he was only twenty-three. Shortly thereafter he started performing in shows that displayed cowboy themes and episodes from the frontier and Indian Wars. He founded Buffalo Bill's Wild West in 1883, taking his large company on tours in the United States and, beginning in 1887, in Great Britain and continental Europe.